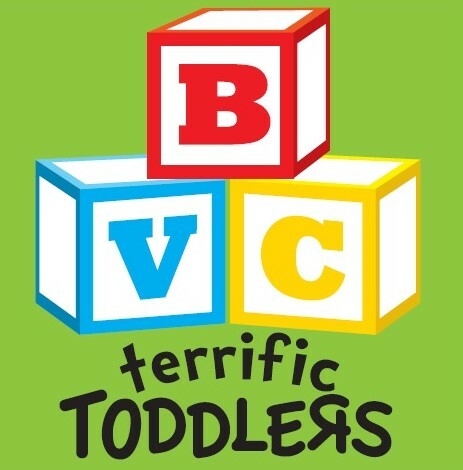 BVC takes great pride in making sure your child is safe while in our care. Our Children’s Department screening process, including background checks, ensures only the best care for your little one while you enjoy the service. You’ll use our KidCheck system, located to the left as you enter the building, to securely sign your child. The KidCheck system will issue you a ticket that will ensure you’re the only person who can pick up your child. Additionally, each room has a private bathroom. With your permission snacks may be provided, but rest assured we’ll check for any food allergies prior to giving your child a snack. What joy a newborn brings to a family! Infants require a great deal of care and our nursery department is second to none. Our nursery is well equipped with modern changing tables, clean cribs, toys that are sanitized after each service, and plenty of essentials like diapers, baby wipes, powder, etc., in case you run out or forget to pack something before leaving home. If you would like to to stay with your child or need privacy, please feel free to use our nursery with an in-room restroom. Services are streamed live to the nursery so you won’t miss a minute. During our Sunday Celebration Services, we are proud to offer children ages 1st to 5th grade Victory Kid’s Club Junior and Senior classes. Victory Kid’s Club Juniors (1st & 2nd graders) offers a fun filled, action packed, time of learning. Our curriculum is from Superbook. Gizmo and his friends lead us through the most amazing book, the Bible. Children learn through scripture, videos, worship and crafts. Superbook offers an online site and app of Bible based games, puzzles, riddles, quizzes and scripture fun that your child can use throughout the week. Victory Kid’s Club Seniors (3rd, 4th & 5th graders) dig into the Bible. Our curriculum includes worship, core discoveries, low and high energy games, object lessons, child crafted learning videos and crafts. Your child will experience a relationship with God through the eyes of ordinary people in the Bible. They will begin to develop a comprehensive understanding of their unique purpose in God’s plan as well as their abilities to be disciples of the Gospel. The Victory Kids Club classrooms are on the second floor. Drop off and pick up will be in the gym. We are ready to teach your child the word of God through play and projects. Together we’ll nurture the bond with Jesus. Our Toddler room curriculum teaches children through play, projects, puppets felts and crafts. Our room is supplied with age appropriate, interactive toys for boys and girls. Each Sunday our preschoolers meet for a powerful time of age appropriate teaching from God’s Word, worship, games and crafts. 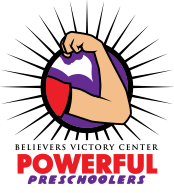 The Powerful Preschool staff are excited to begin the journey with your child in becoming the hands and feet of Jesus to spread His word. Our curriculum, Sparkhouse, focuses on prayer, introducing the Bible and activating faith. Each Sunday your child will explore an event that occurred in the Bible and bring home a leaflet so they can share their knowledge with you. 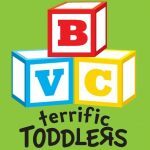 You’ll love to hear what your child has learned in such a short time. Ignite Teen Meetings are geared to IGNITE the fire in the hearts of youth to be a light to their generation. Each service begins with a time of high impact praise & worship followed by a BREAK – AWAY SESSION where the High School Youth and Middle School Youth each go to their own separate areas to catch up with each other and receive teaching from the Word of God that will empower them to walk in victory and not defeat. Service Time: Thursday – 6:00 p.m.
Believers Victory Center Children’s Department is pleased to offer PrayKids during our Thursday Bible Teaching. PrayKids offers an exciting, age appropriate, prayer session for all who attend. Prayer Rides/Walks, Crafts, Music and Lessons are just some of the activities offered during PrayKids.